So will this song help the beleaguered movie curry favor with the angry legions who have been protesting its very existence? Probably not. It’s also not likely to win over anyone except Fall Out Boy diehards. The new theme also features a welcome Missy Elliott verse, which just makes us wonder why didn’t she get the whole track to herself in the first place. Or how about a “Lady Marmalade”-esque super group performing the song? 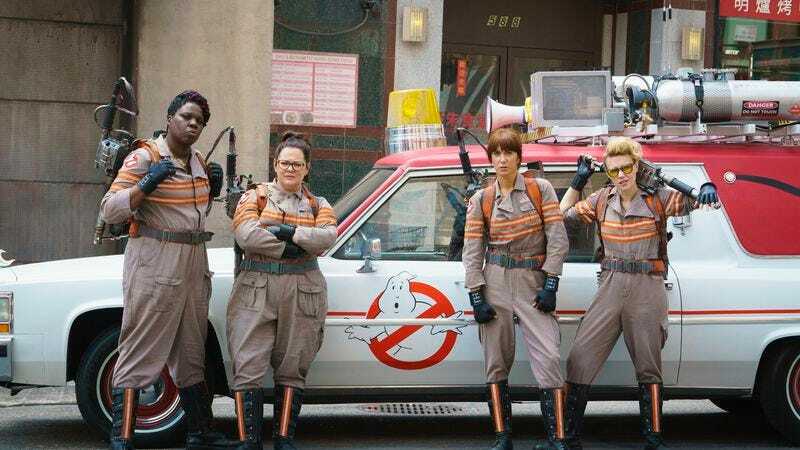 We have a female-led Ghostbusters movie, so we very well should have a female-fronted theme.